Some pages are still under construction. Please explore the rest of the site. It has some very interesting surgical content. The site is continuously updated (when I have the time). New pages or changes to existing pages will be listed. Please check the bottom link for these updates under first selection in the menu (Deya Marzouk). 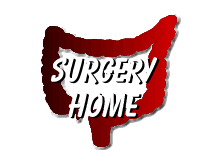 The aim of this web site is to be an up to date source of my surgical practice (mainly Colorectal and laparoscopic). It also include some of the operative techniques that I developed and some of the clinical research I have done over the years. I hope that it will be useful to patients, informative to general practitioners & educational to young trainee surgeons. You may also access my parallel personal site which contains a collection of interesting (for me) photos of Heliopolis and cairo in the past, old photos of my family, photos of cars, planes & scenery. Cover of Cancer Care Appeal. All proceedings went to the Viking Day Unit, QEQM Hospital, Margate. Please navigate via the drop menu at the top. The mouse will normally change into a hand symbol & the selected item will change colour. Click the left mouse button to navigate to the relevant page. Click here for what has been updated on the site. 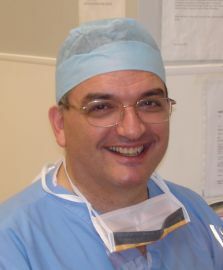 Consultant General & Colorectal Surgeon, QEQM & Kent & Canterbury Hospitals, Kent, UK. Lead Colorectal Surgeon East Kent NHS Trust . Formerly Professor of Surgery, Ain Shams University, Cairo, Egypt. Colorectal Cancer: The Surgeon Matters!